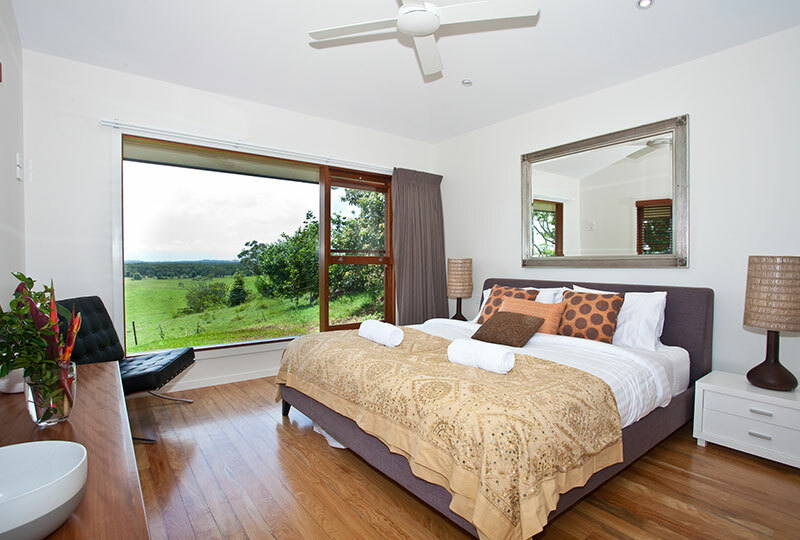 Welcome to our For Life Retreats packages! 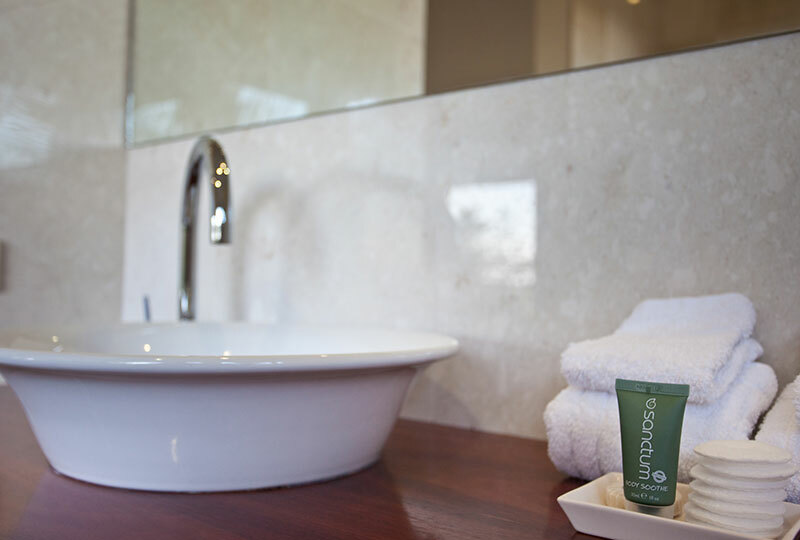 We have a range of options to suit your health goals with your convenience, your comfort and your relaxation in mind. 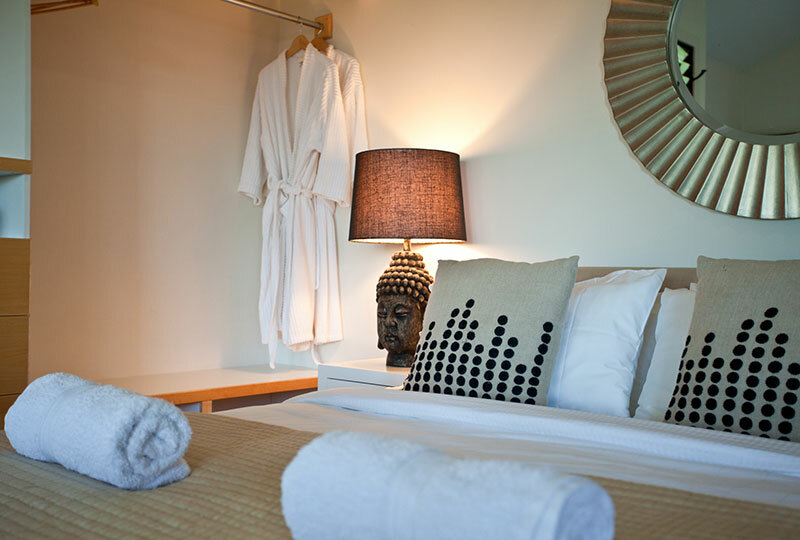 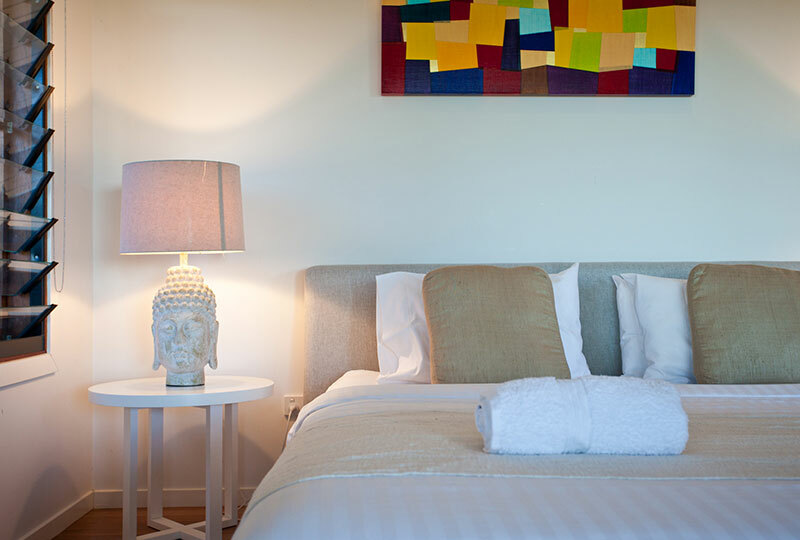 Please scroll down for all the details on our luxury accommodation Byron Bay offerings, package inclusions as well as the investment for your health. 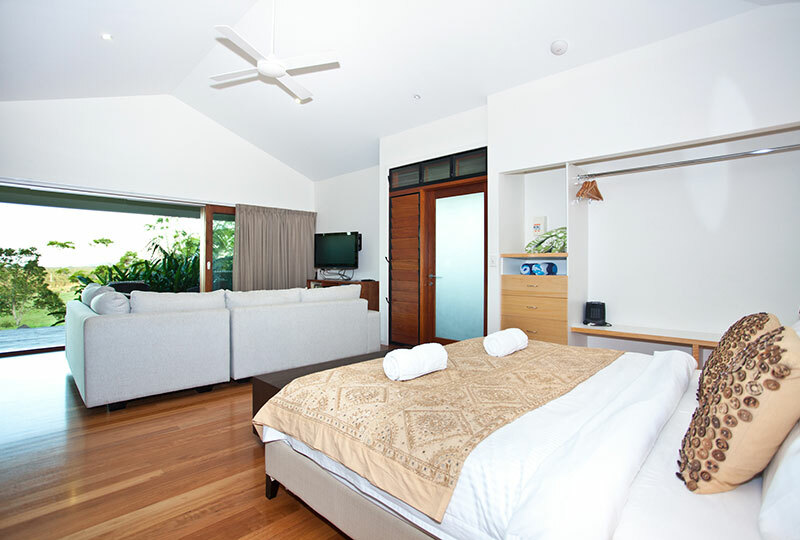 Separate bedroom, lounge and a gourmet kitchen area. 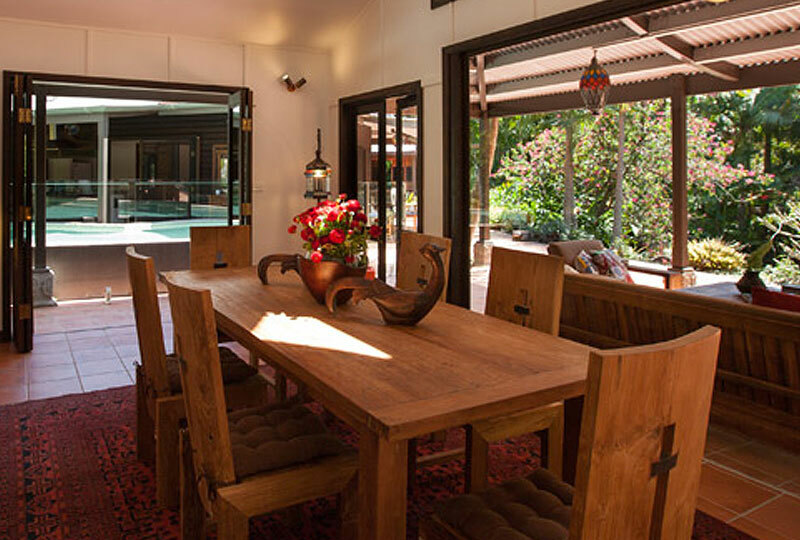 Granite bench tops throughout and a rare Australian teak floor set this Villa apart. 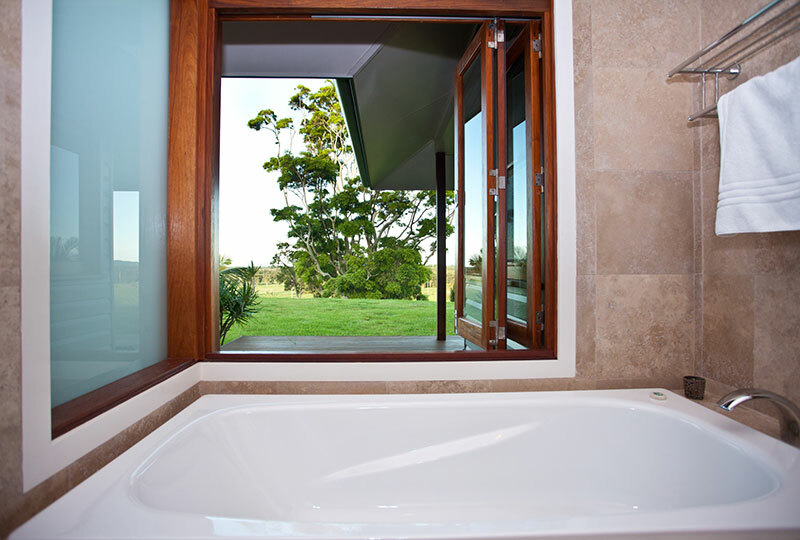 The ‘View’ has a very comfortable designer lounge, marble & travertine bathroom with double shower and a separate twin bath. 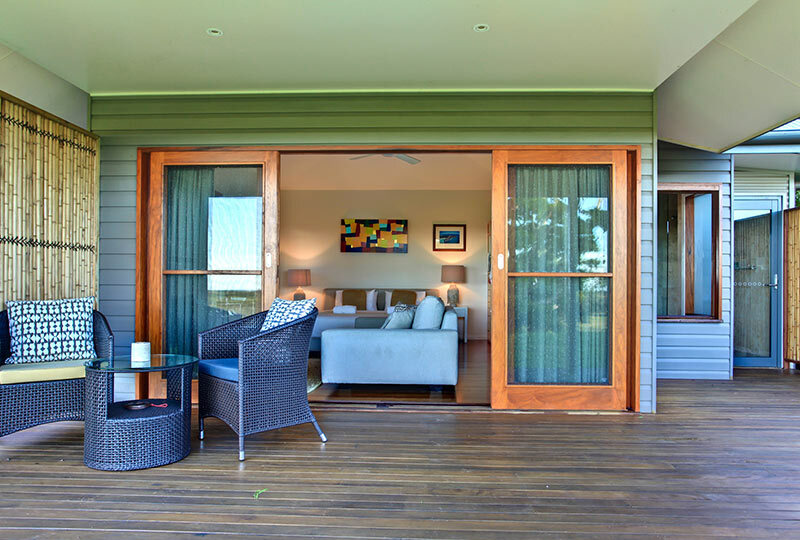 This 75sqm Villa is truly magnificent, located out on its own, with one of the best views of Byron Bay in Ewingsdale, totally luxurious and totally private making your downtime extra special and memorable. 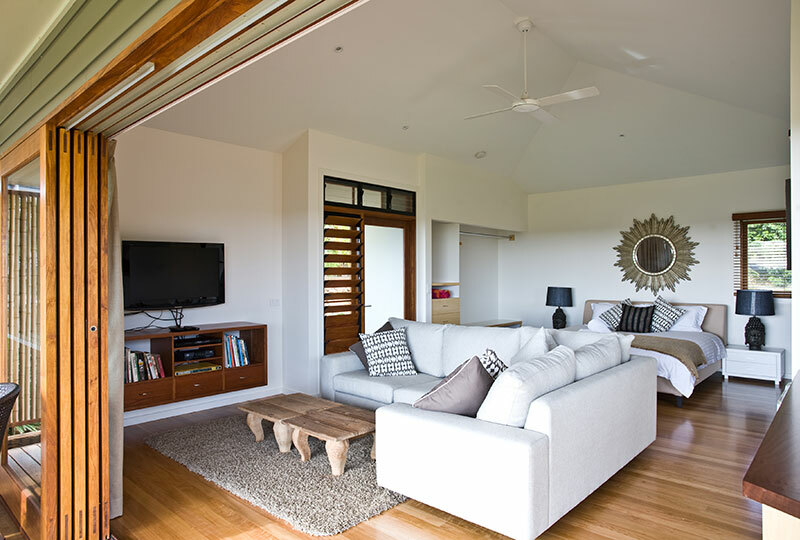 A generous King Villa where everything is just that little bit more spacious. The grand suite provides the ultimate in expansive, luxury living. 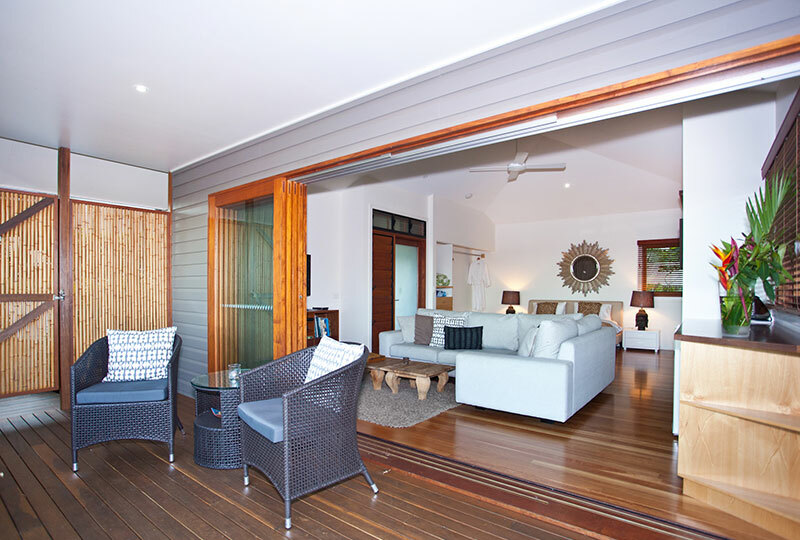 The most opulent of our villas, the 65sqm Grand Villa has a large living space, deep private undercover verandah with beautiful views of Byron, the majestic old fig tree and the sea to the north. 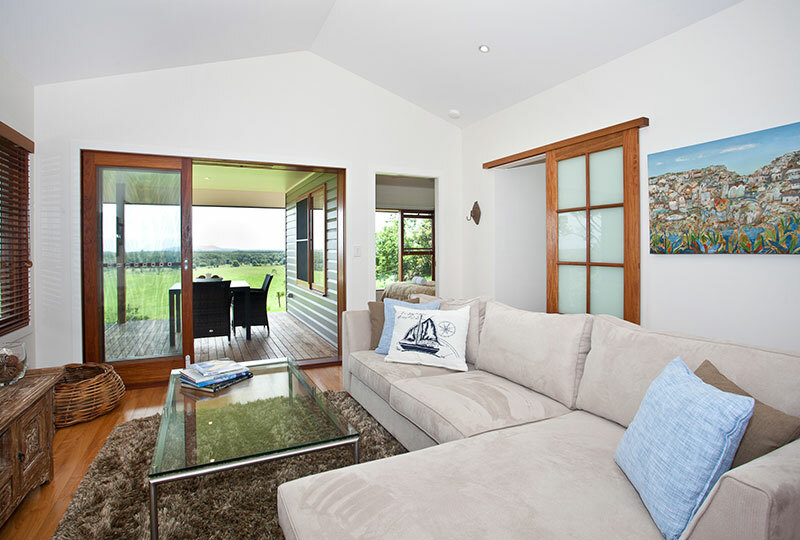 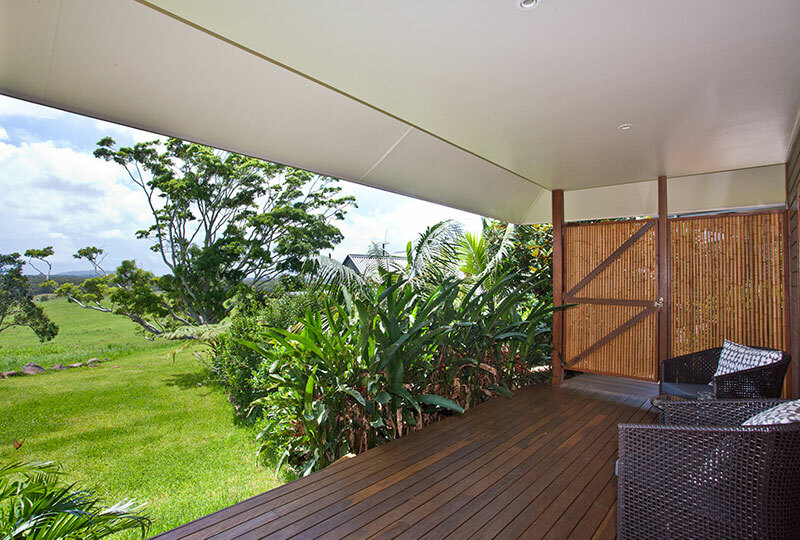 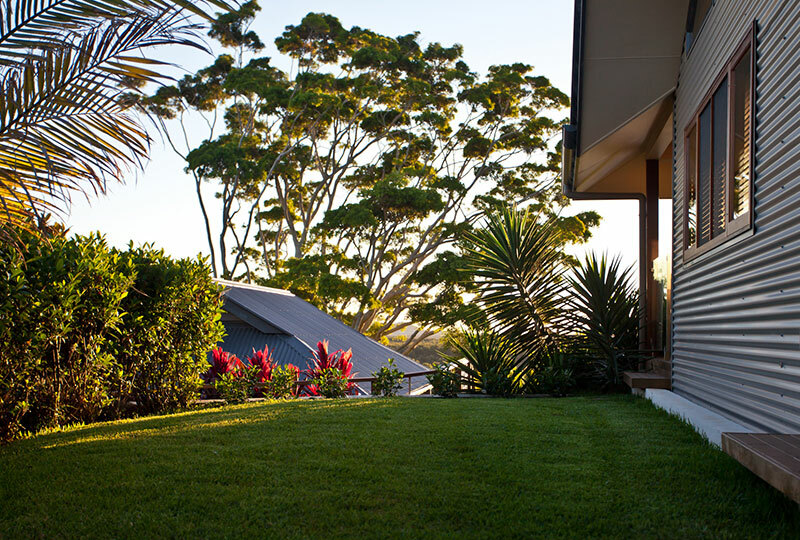 A King Villa, it has the most magical and expansive view of Cape Byron and Byron Bay. 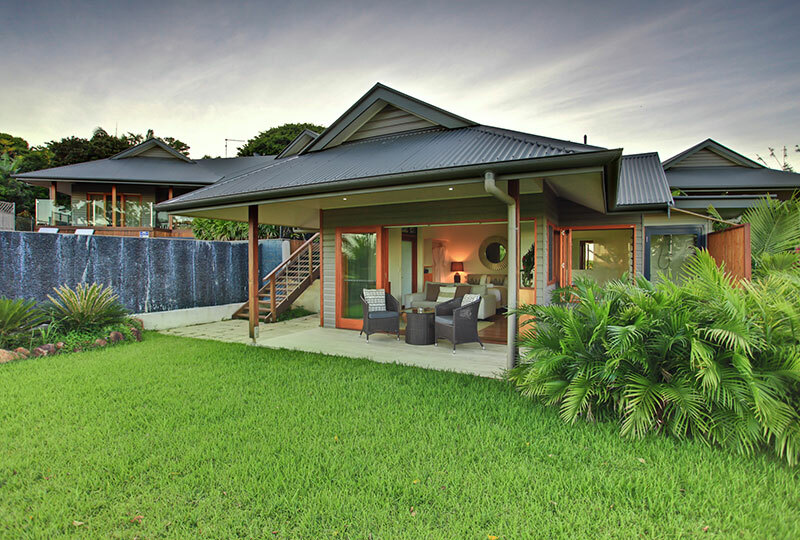 This 50sqm Villa has the perfect North East aspect and is very private. 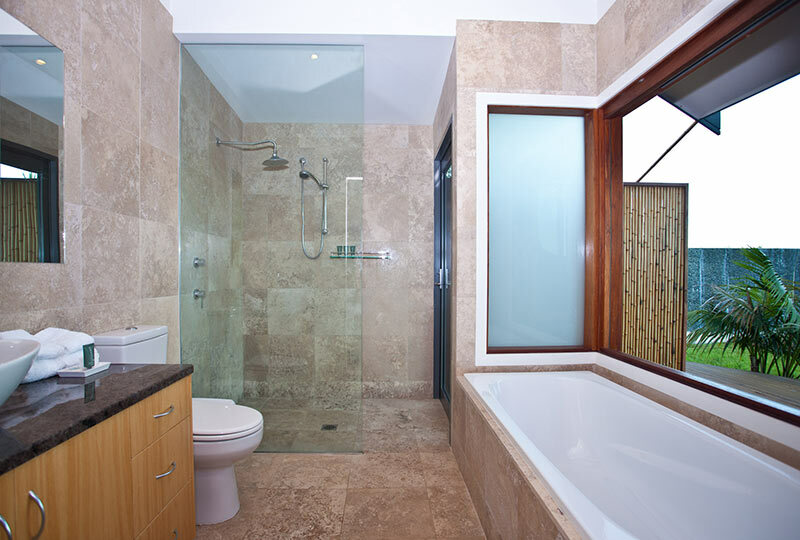 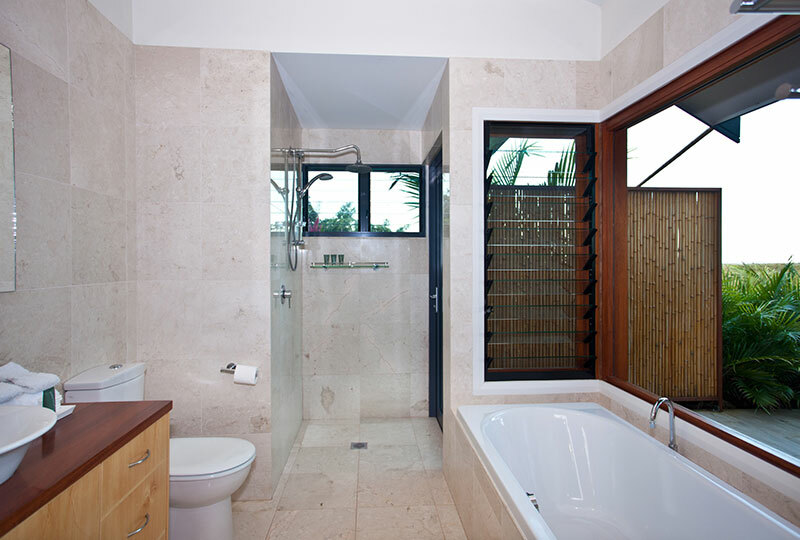 It has a generous travertine bathroom, double indoor/outdoor shower and its own private garden. 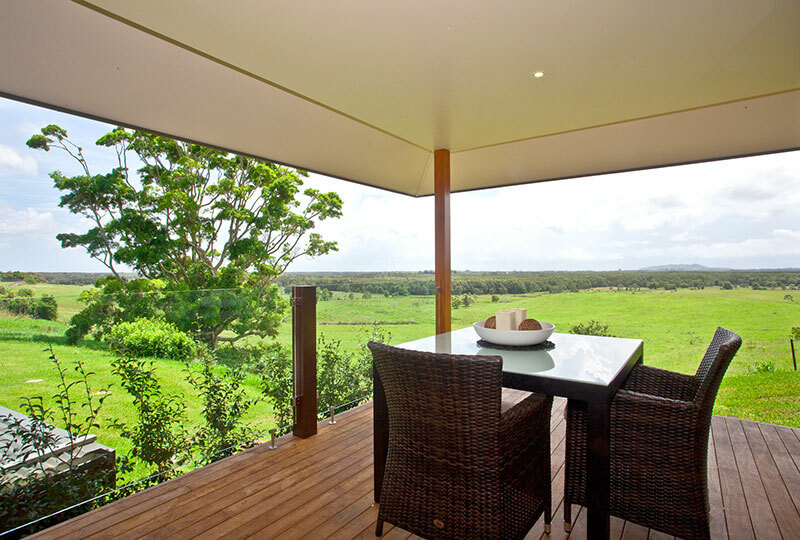 The Escape is just that, being on your own with a wondrous view. 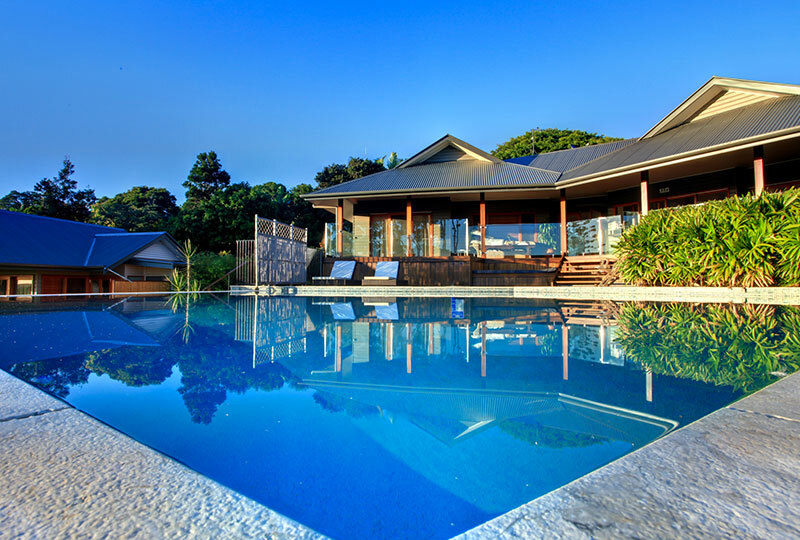 1 x King Villa with a very romantic aspect of Byron Bay and the lighthouse filtered through the arms of the majestic 100 year old fig tree. 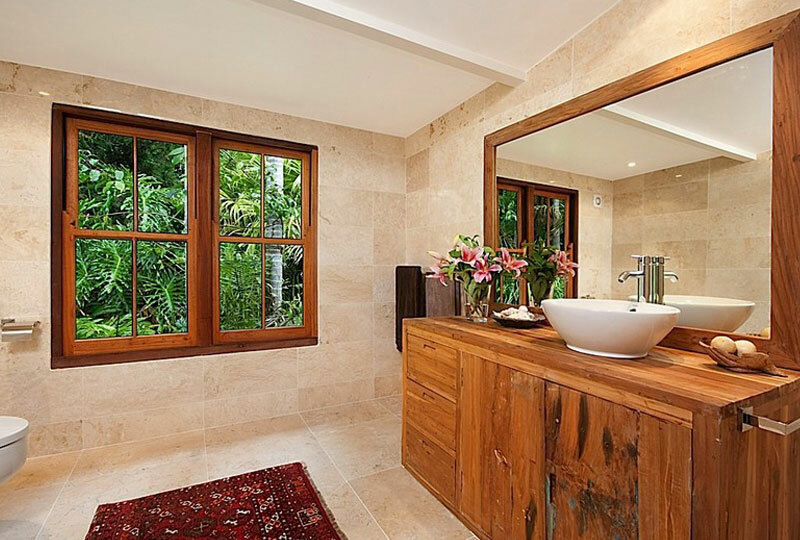 This 40 sqm Villa is in a world of its own, being very private, serene and the most Intimate villa. 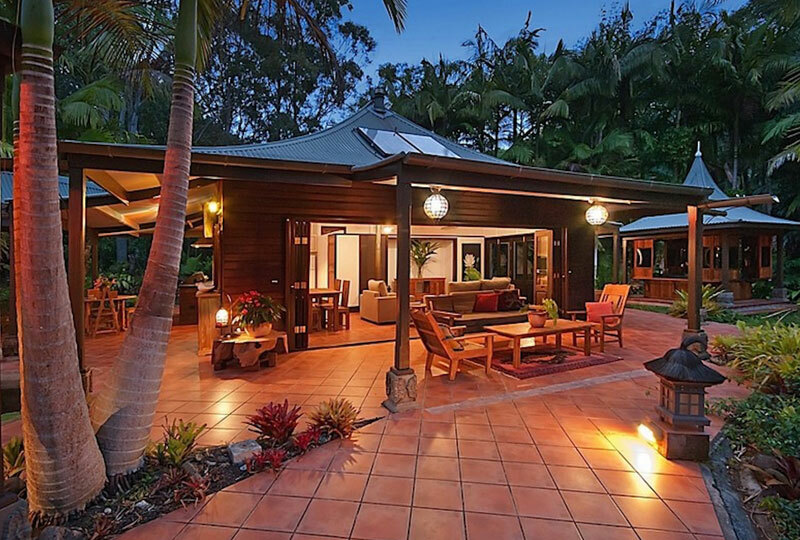 1 x Queen Villa with a very romantic aspect of Byron Bay and the lighthouse filtered through the arms of the majestic 100 year old fig tree. 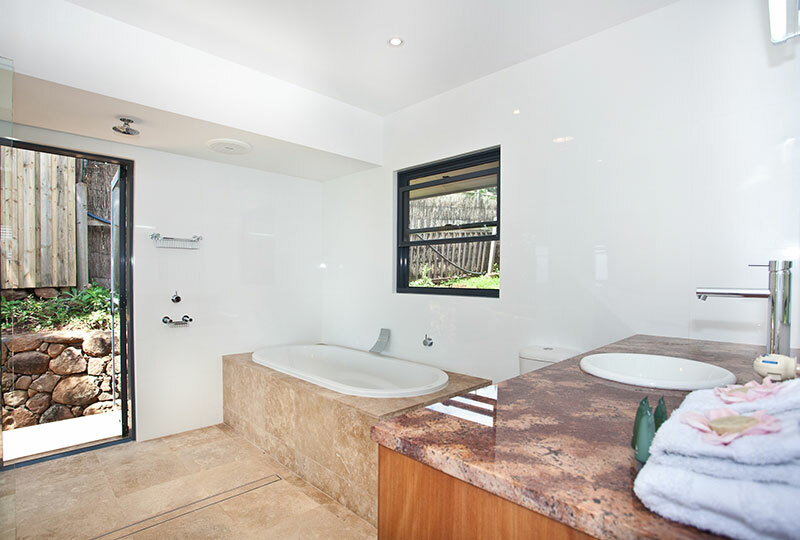 This 40 sqm Villa is in a world of its own, being very private, serene and the most Intimate villa. 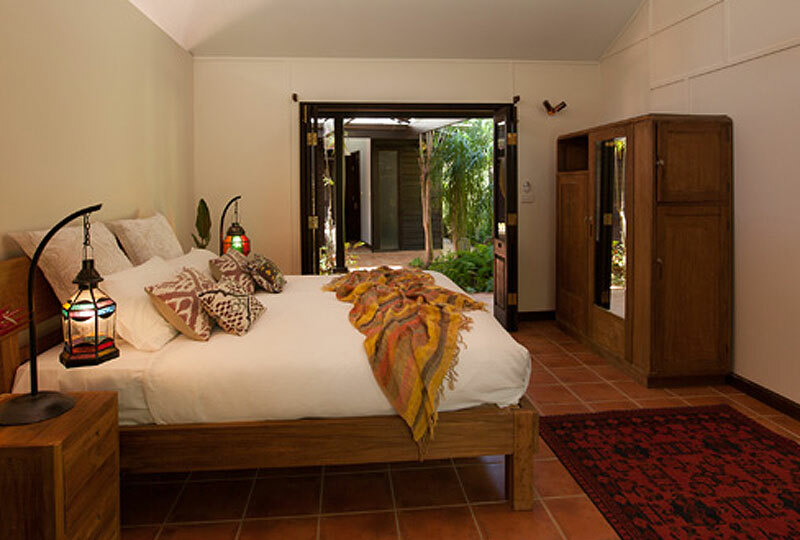 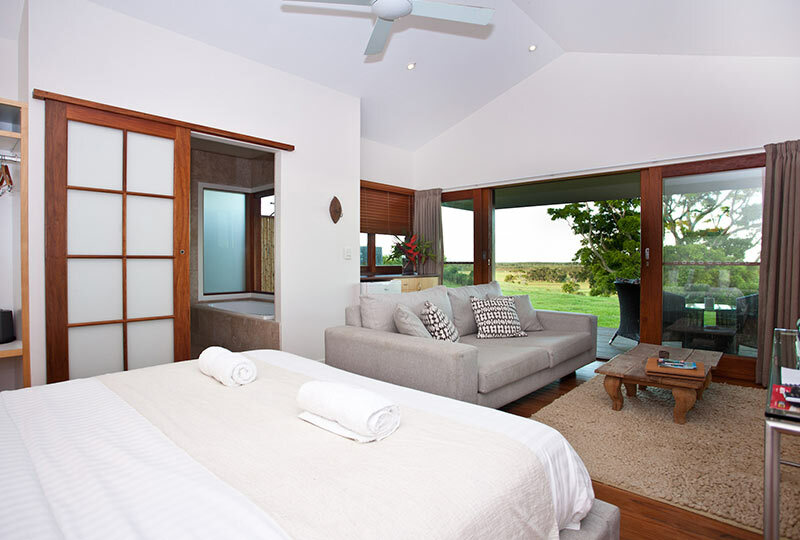 4 x spacious and luxury pavilion style bedrooms, all with en-suite bathrooms, air-conditioning, fans, kitchen and dining space as well as outdoor and indoor downtime enclaves nestled amongst the tropical trees and lush gardens. 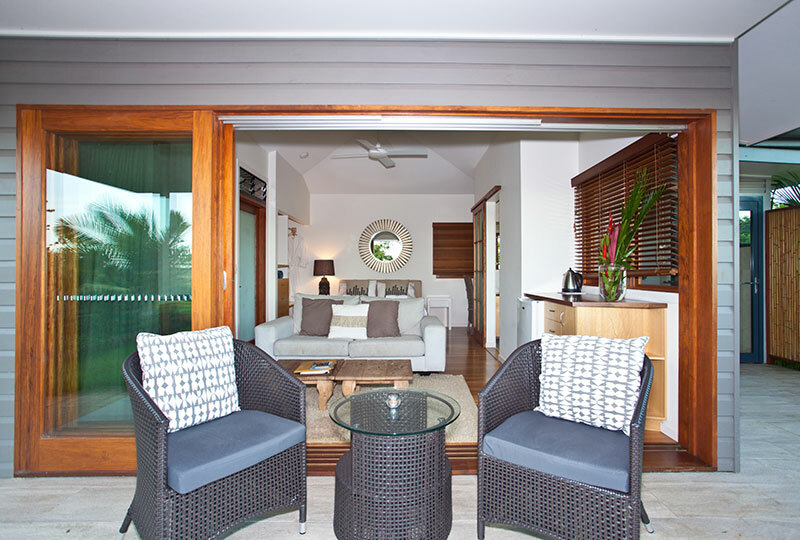 If it’s a tropical escape, wildlife sounds and ultimate relaxation through the sound of water flowing, this is the accommodation for you! 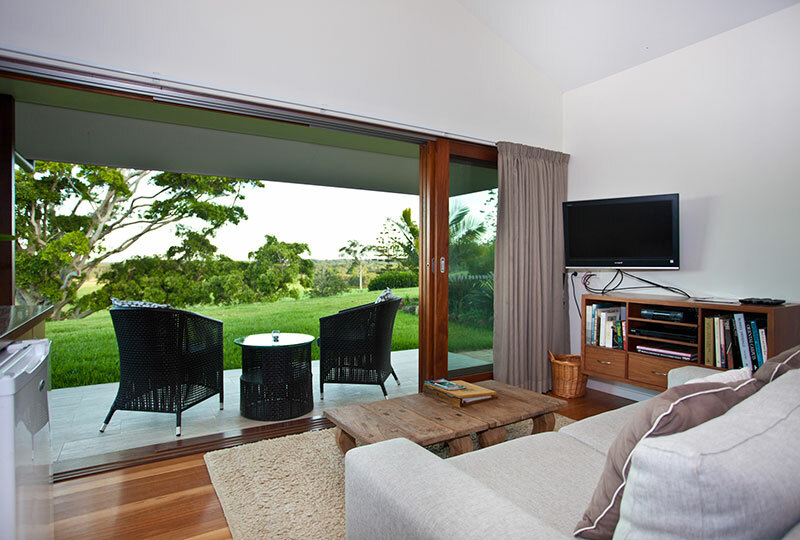 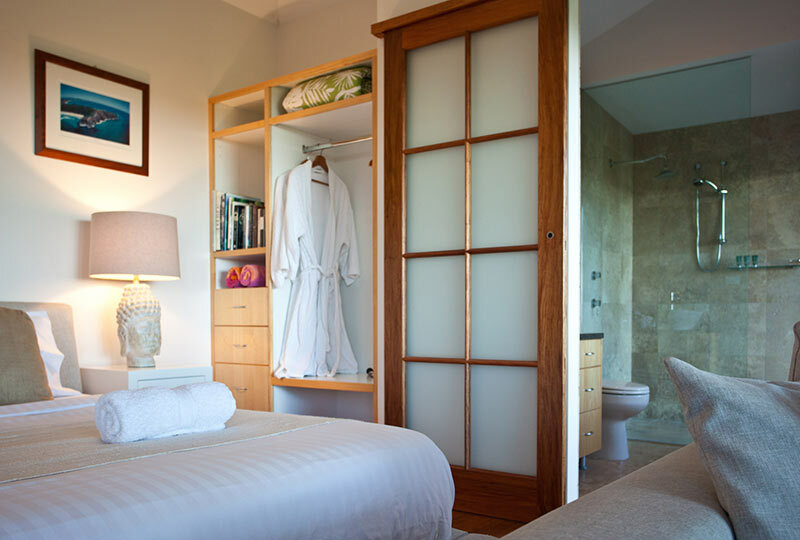 1 x Queen Suite with a very romantic aspect of Byron Bay and the lighthouse filtered through the arms of the majestic 100 year old fig tree.